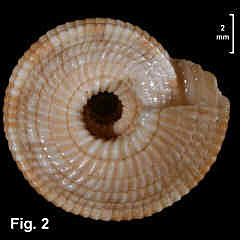 Description: Shell very variable in height and in umbilical width; spire convex in outline. 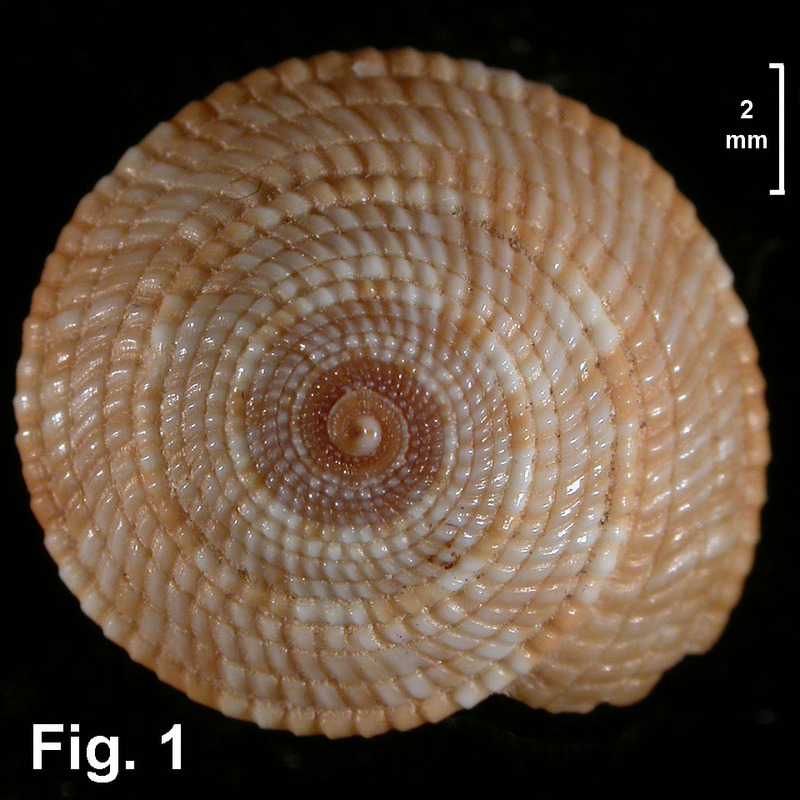 Teleoconch whorls straight-sided or weakly convex, with 4 or 5 strongly beaded spiral cords, the lowermost strongest, crossed by oblique grooves. Periphery angled with an additional weaker spiral cord below peripheral cord. Base weakly convex, with 4 beaded spiral cords between lower peripheral cord and umbilical margin. 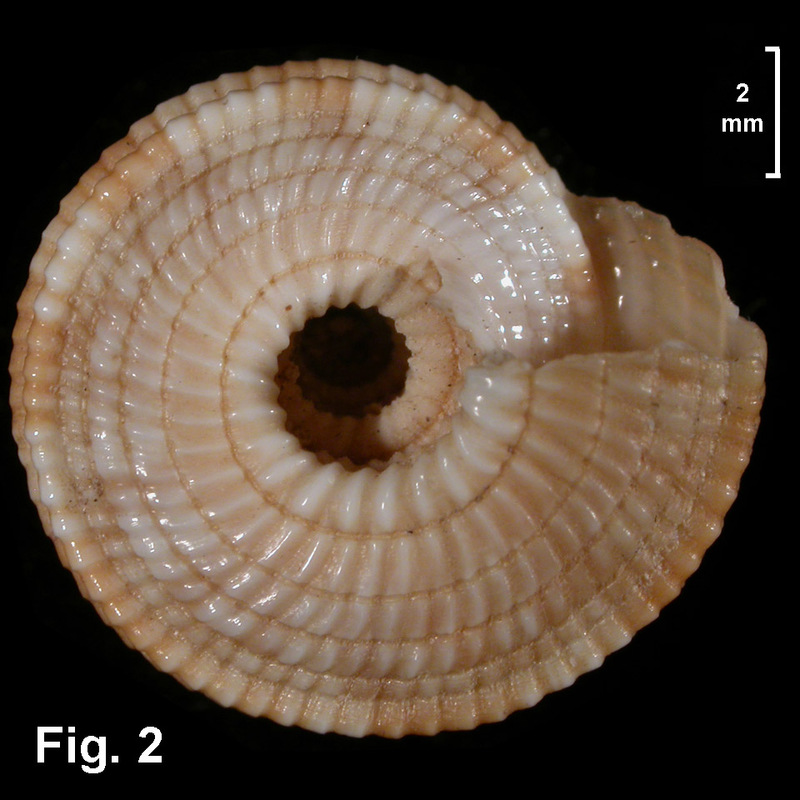 Umbilicus narrowly or widely open, with strongly toothed margin. Colour yellowish or pinkish tan with narrow obscure darker flames, peripheral ribs with tan blotches or flames. 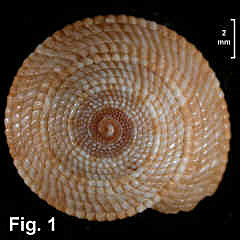 Size: Largest specimen seen 18 mm diameter. Distribution: Tropical Indo-West Pacific. In eastern Australia, as far south as Ulladulla, NSW. 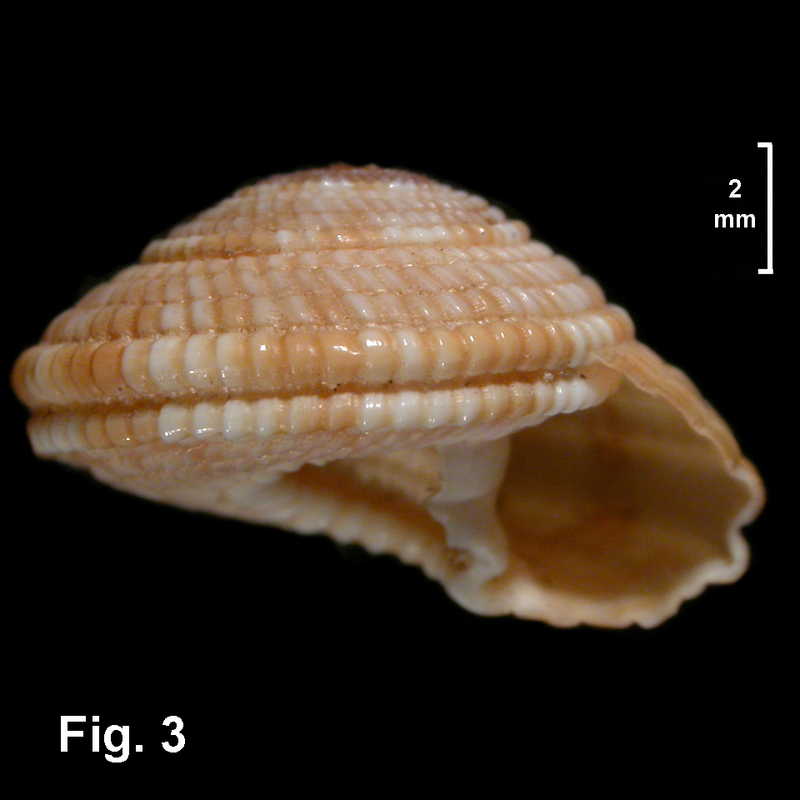 Habitat: Rarely intertidal in NSW, dredged down to 80 m. Occasionally found in beach washup. Dredged as sub-surface fossil in Sydney Harbour. Uncommon in NSW. Synonymy: Torinista popula Iredale, 1936 is a previously recognised synonym. Figs. 1–3: North West Island, Qld (C.094386).